This week on Inside the Arts, an exhibition of new artworks by renowned glass artist Dale Chihuly are on view at the Arthur Roger Gallery. 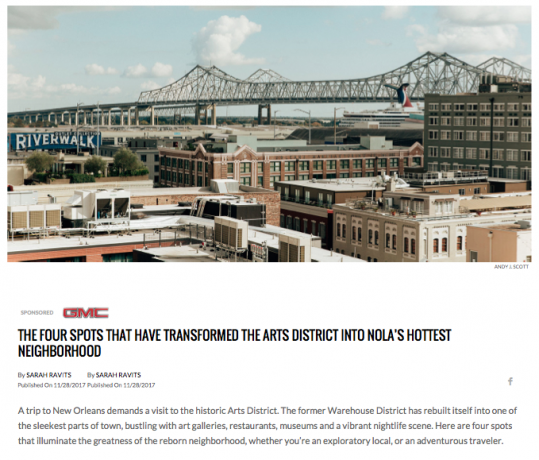 One of the city’s most vibrant post-Katrina neighborhoods is Arts District New Orleans (ADNO) which transformed a neglected warehouse neighborhood into a thrumming hub of creativity. 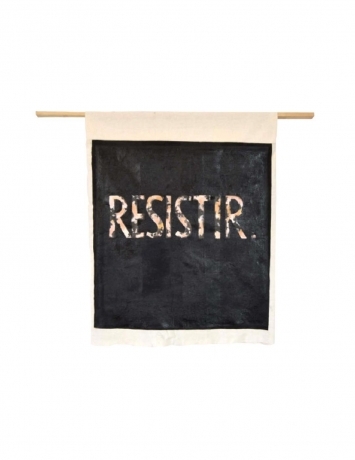 Jonathan Ferrara Gallery artist, ELLIOTT GREEN, featured by ARTFORUM as Critics' Pick Artist for January 2019. 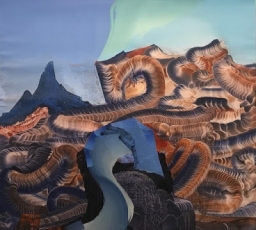 "Green appears to swallow the sponge, smudge, and brush tools of Photoshop, and then reconfigure them to make a real painting, the kind you can touch but are still tempted to click..."
The New Orleans–based artist possesses the increasingly rare skills of a highly trained artisan and the eye of an experienced scavenger, as is evident in a new museum exhibition and in his own Crescent City home. 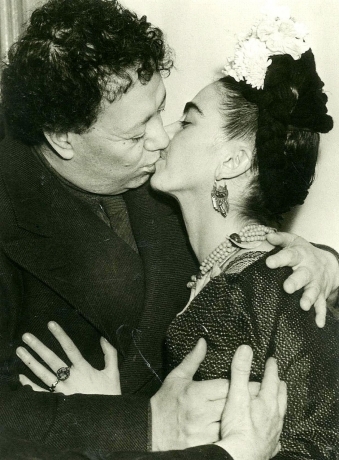 Gambit reviews the Diego and Frida: A Halfway Smile exhibition at the Mexican Cultural Institute, which explores the complex and tumultuous marriage of the two artists. 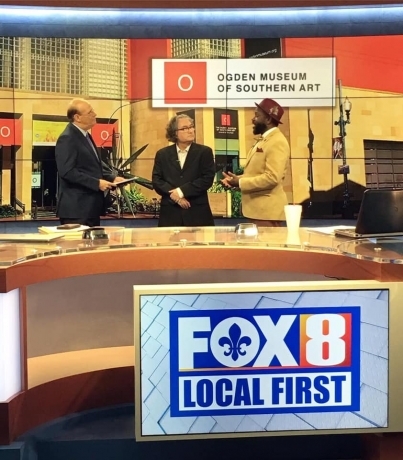 Kasimu Harris, New Orleans Writer/Photographer, and Richard McCabe, Curator of Photography at the Ogden Museum, speak with WVUE FOX 8 News about the Museum's upcoming film screening of "Hale County This Morning, This Evening." 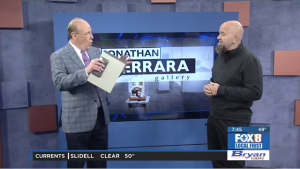 In a video interview with WVUE FOX 8 News, Jonathan Ferrara discusses the annual No Dead Artists juried exhibition that takes place at his gallery every year. The Jonathan Ferrara Gallery has released an international Call For Artists and is now accepting applications from artists of every genre. 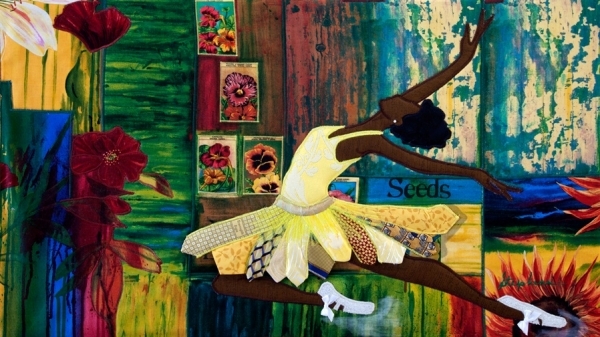 This juried exhibition has put many emerging artists on the map. 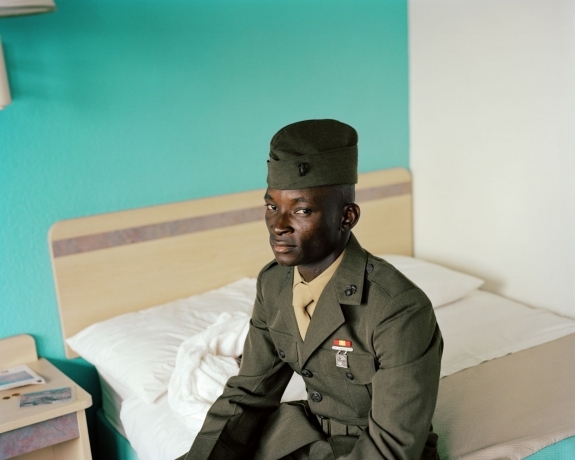 In an interview with Antigravity Magazine, Keith Calhoun & Chandra McCormick discuss their partnership and their experience documenting and photographing black experiences in the South. Antigravity Magazine - Your New Orleans Alternative to Culture, reviews art exhibitions, album releases, and new books by locals in the Crescent City! 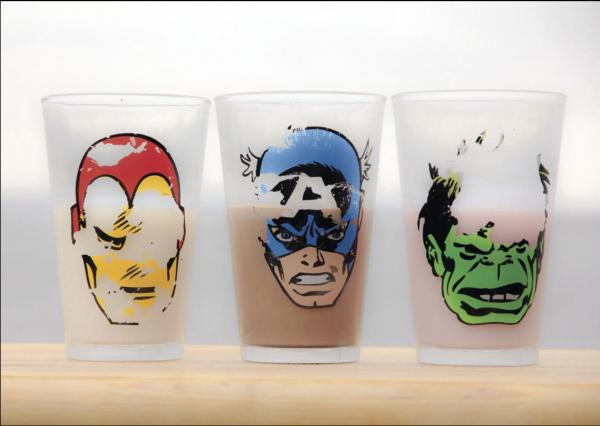 Contemporary art sometimes seems to take a back seat in a city enamored of its ornate and storied past. Scratch the surface, though, and you’ll find a strong and growing creative scene in New Orleans. It’s Carnival season, y’all. The month of February is packed full of not just Mardi Gras festivities, but also national events like the Super Bowl and Valentine’s Day in addition to small, local festivals. Plan your schedule in advance with this February guide to make sure you can make the most of this short but jam-packed month. 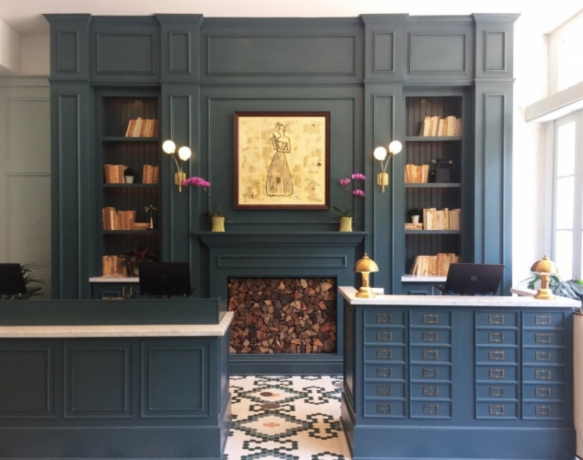 Boutique hotel, The Eliza Jane, just opened in New Orleans with Octavia Art on the walls! 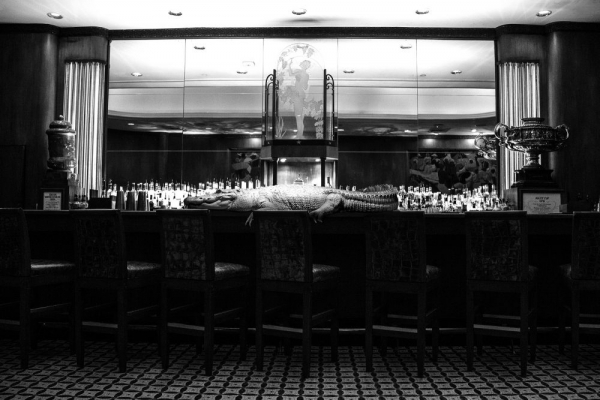 The hotel resembles the city in that it is a classic mix of elegance and funkiness. 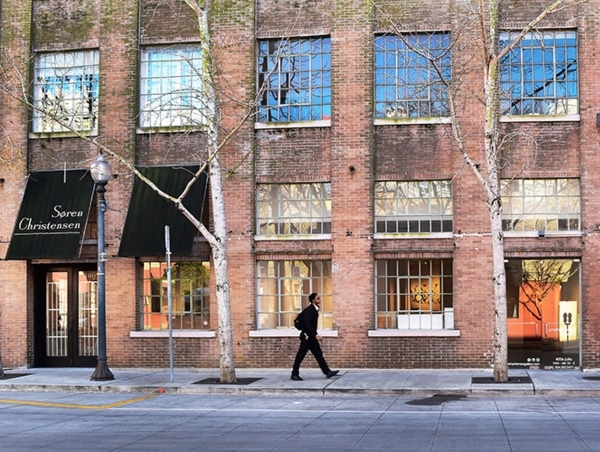 It is built within nine historic warehouses that look distinct on the outside but have been united on the inside. 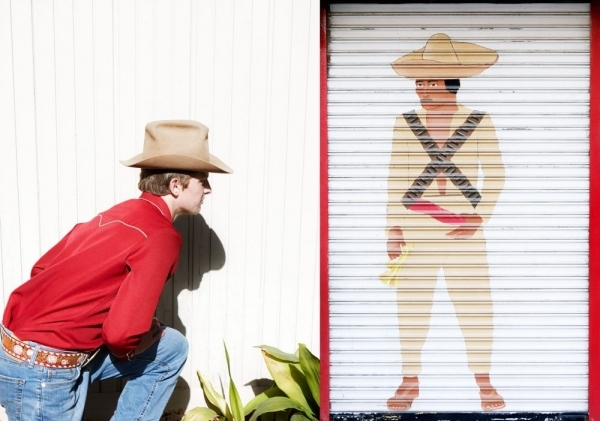 The largest photography exhibition to date at the Ogden Museum of Southern Art, this sprawling “New Southern Photography” show, curated by Richard McCabe, features diverse yet cohesive images by 25 emerging and mid-career Southern artists. This week on Inside the Arts, conversation with Arts District New Orleans executive director Marcela Correa. 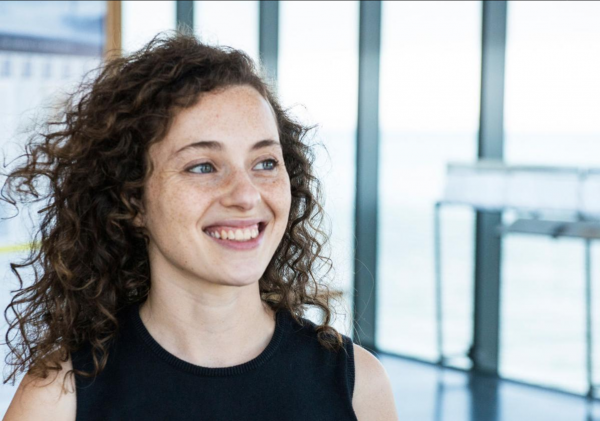 She is the curator of the exhibit Hispanic Women Making Art: Creative Empowerment & Identity presented by the Mexican Cultural Institute in New Orleans and the New Orleans Hispanic Heritage Foundation. Many of the high-profile art shows in New Orleans this year have used the occasion of the city’s tricentennial to celebrate the more colorful moments in its history. 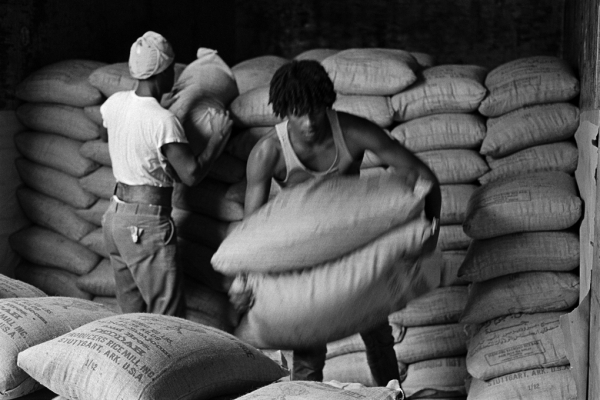 This month, a group of three separate but thematically linked shows at the Contemporary Arts Center spotlights more often-overlooked aspects of the city’s industrial and cultural environment and the concept of labor in general. 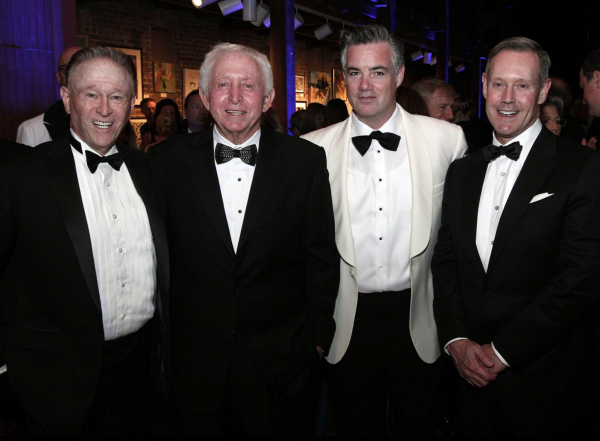 One of the most exciting annual art auctions — to benefit a fine cause — occurs during the Ogden Museum of Southern Art’s O What a Night! 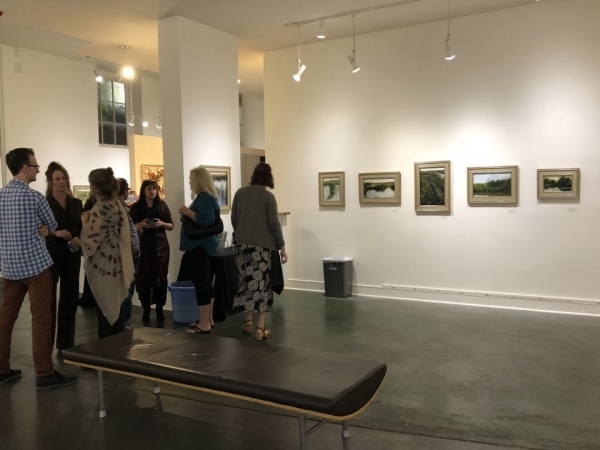 The North Shore came to New Orleans on November’s first Saturday, with three prominent artists having receptions for their solo exhibitions during the New Orleans Arts District’s First Saturday Gallery Openings. LUNA Fête, a free holiday festival of art and technology that returns Dec. 6-9 for its fifth year! 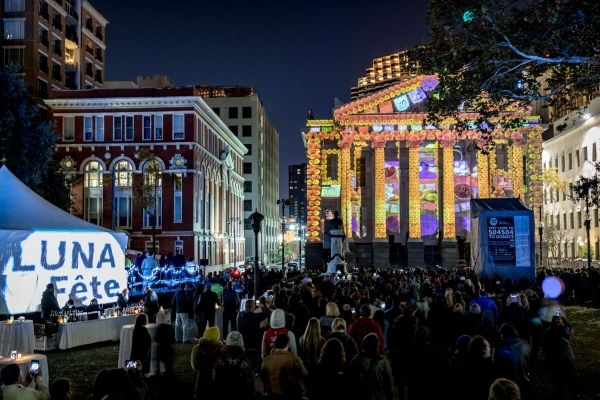 LUNA Fête is the country's longest-running annual large-scale festival of projection mapping, which turns objects into a display surface for video projection. Local landmarks will be illuminated from 6 p.m. to 10 p.m., with the theme “Through Time,” to celebrate the city’s tricentennial. 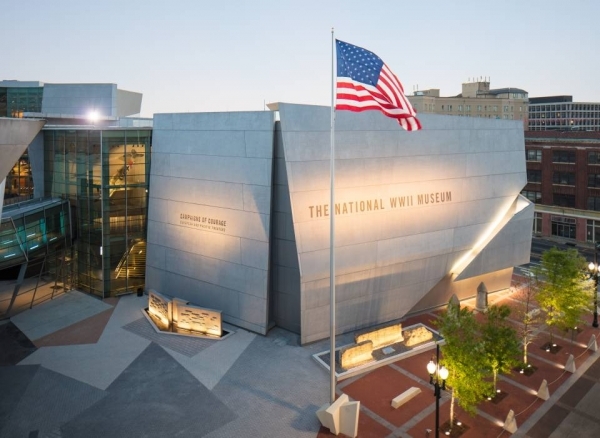 The National World War II Museum has joined the New Orleans Public Library 's museum pass program. It's the fourth museum to do so, allowing anyone with a library card to check out a two-week pass providing free admission for two adults and some children. The number of children varies according to the museum involved. Brooke Sauvage speaks to Sean Yseult about her current show at Boyd | Satellite and her various careers as an artist, musician, and bar owner. 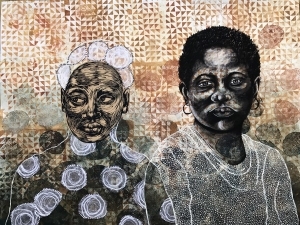 Marjorie Rawle considers how an exhibition at the Ogden Museum of Southern Art questions the ways we perceive regional histories. The Passage expo at Callan Contemporary gallery extends Raine Bedsole's long exploration of spirit vessels that, like New Orleans itself, can seem magically suspended in a sea of humidity. 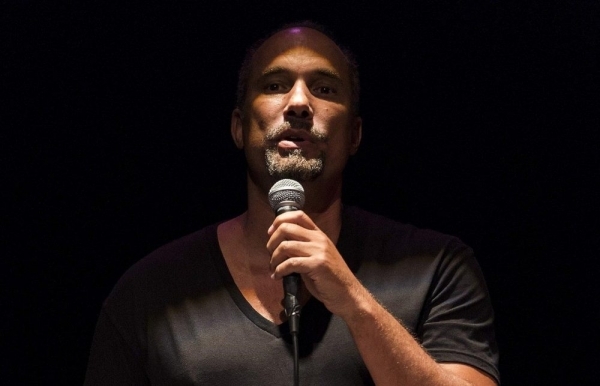 Tina Orlandini reflects on a recent performance by Roger Guenveur Smith at the Contemporary Arts Center that looked back on the life of Rodney King. The Chilean-born artist commemorates calamity while transfiguring its ruin into another tomorrow. Organized by the Contemporary Arts Center, New Orleans and co-curated by Andrea Andersson and Julia Bryan-Wilson, the show, titled Cecilia Vicuña: About to Happen, features site-specific installations, a selection of short films, artist’s books, and over 100 precarios — precarious pieces that verge on disintegrating. In 1955, Slidell abstract artist George Dunbar was selected as Art in America’s “New Talent” of the year. 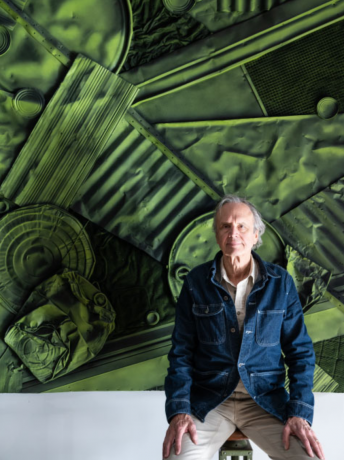 More than six decades later, Dunbar’s latest creations — he calls this his “Surge Period” — will be on display in November in a new show at the Callan Contemporary Gallery in New Orleans. 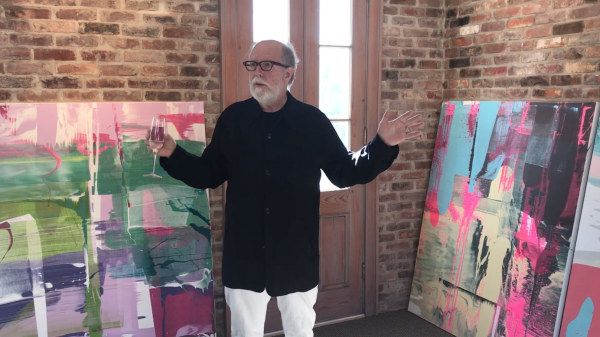 Artist Ken Tate gives a studio tour at Octavia Art Gallery, discusses the inspiration for his latest collection, and acknowledges the role of the subconscious in his creative process. 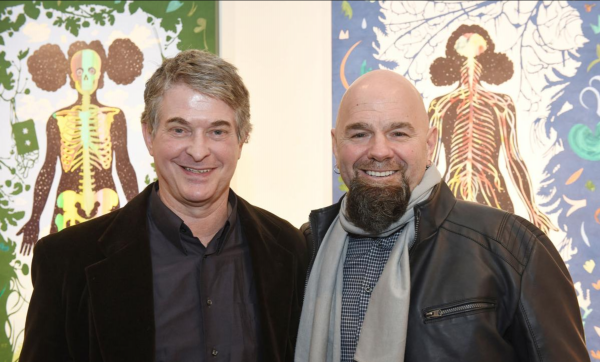 When Jonathan Ferrara was a partner at a now-defunct gallery in 1995, it launched the annual No Dead Artists exhibition. Created to spotlight the work of local emerging artists, the show survived the transition to Ferrara's own gallery and now is international in scope. The surprising thing about this year's 22nd iteration is the unusual prevalence of figurative imagery that often evokes the identity politics that dominate our current political discourse. The Times-Picayune is marking the tricentennial of New Orleans with its ongoing 300 for 300 project, running through 2018 and highlighting 300 people who have made New Orleans New Orleans, featuring original artwork commissioned by NOLA.com | The Times-Picayune with Where Y'Art gallery. 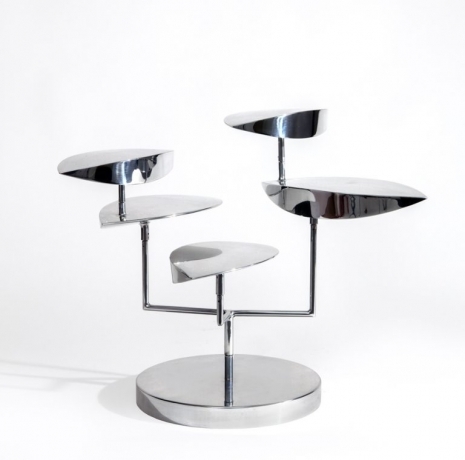 Today: art dealer Arthur Roger. 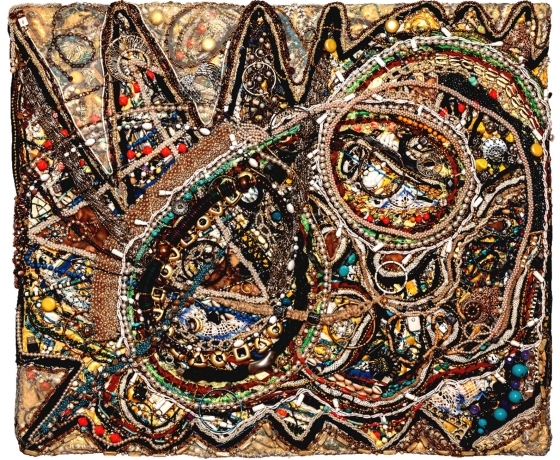 Shawne Major's elaborately beaded wall hangings and sculptures rarely resemble anything distinct, but their thousands of tiny stitches, beads, buttons and micro-baubles stimulate the wandering imagination while offering sanctuary from horror vacui. 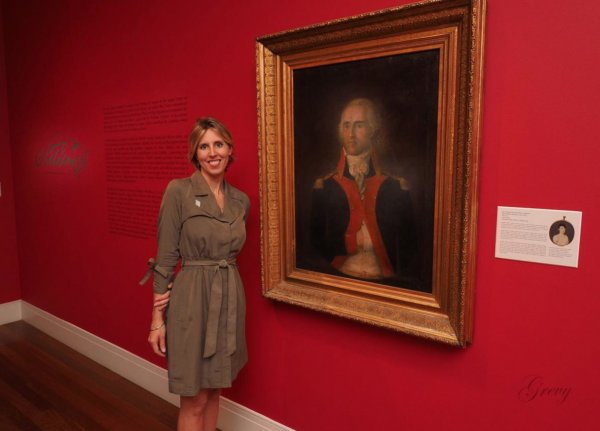 Art historian and Julia Street gallery owner Cybèle Gontar felt something was missing from the lineup of art events celebrating the city’s tricentennial; a notable artistic figure in New Orleans history had been left out. Josef Salazar was the leading portrait painter in colonial New Orleans from 1785 to 1802. Thanks to Gontar and the Ogden Museum, the work of Josef Salazar can now be seen in an exhibition at the Ogden titled, "Salazar: Portraits of Influence in Spanish New Orleans." 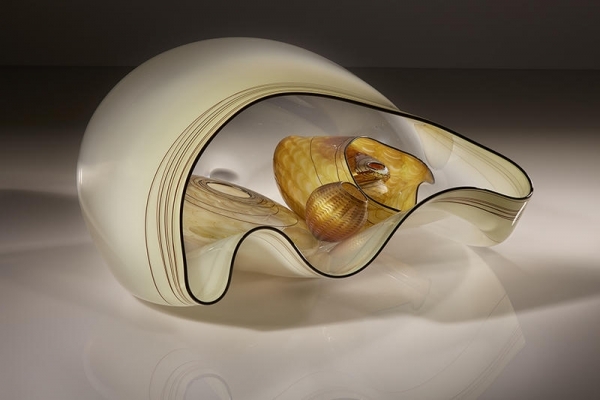 Pridmore is a draftsman and sculptor who documents—and transforms—the natural world that is so much a part of her DNA. 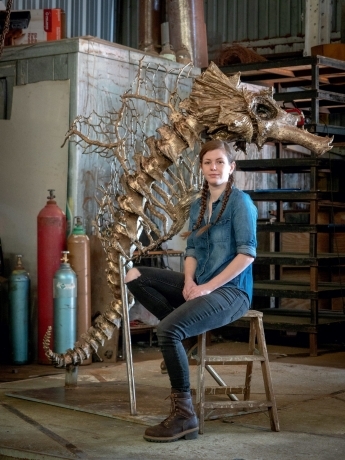 In April, her St. Kampos, an eight-foot-tall bronze “sea beast,” was installed in New Orleans on Poydras Street as part of a public-private partnership between the city’s Department of Parks and Parkways, the Ogden Museum of Southern Art, and the Helis Foundation. Once again, it’s time for the annual Hancock Whitney White Linen Night, a block party of sorts paying homage to the city’s galleries and museums in the Warehouse District. Stella Jones and her husband, Harry Jones (now deceased), started the Stella Jones Gallery in 1996 and got it together in about three weeks. 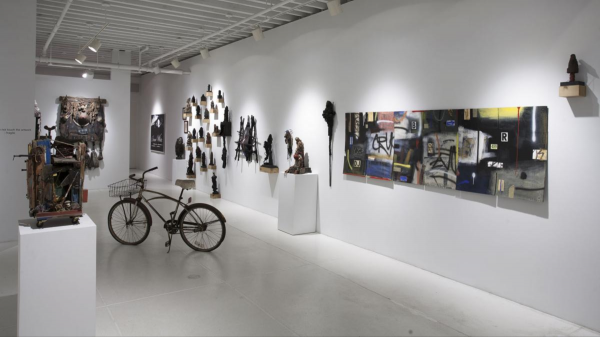 The gallery currently represents a plethora of Black artists across the diaspora and has art that is focused on the Black experience. 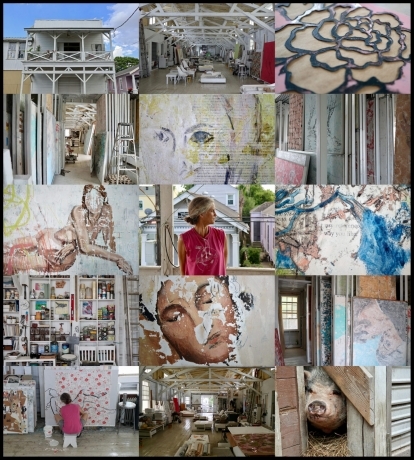 Nicole Charbonnet’s studio is seven thousand square feet. The main room alone is the size of a middle school gymnasium. It is a building that produces incredible art. 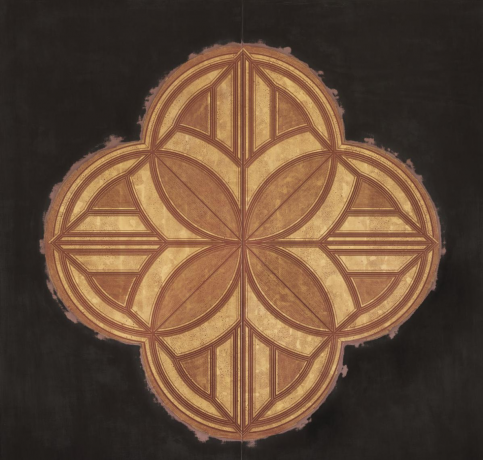 Nicole’s current work combines images inspired by antiquity and the Renaissance with contemporary items like wallpaper, stenciled letters and magazine clippings. Her next solo show in New Orleans is at Arthur Roger Gallery in January of 2019. 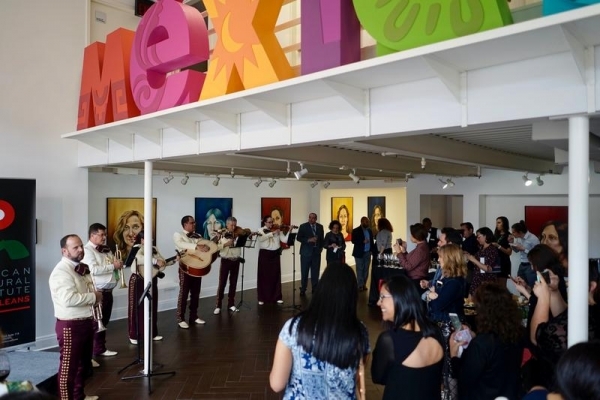 The Mexican Cultural Institute, now open in the Arts District, promotes the diverse culture of Mexico by collaborating with many Latin American artists. 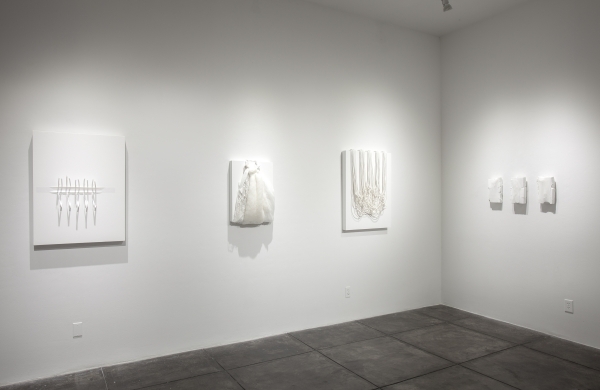 Professor Saskia Ozols Eubanks reviews Ruminations, Lin Emery's exhibition at the Arthur Roger Gallery, "A walk past the sculpture of Lin Emery brings to mind the light of spring and invites reflection on our relationship with the larger world we occupy." 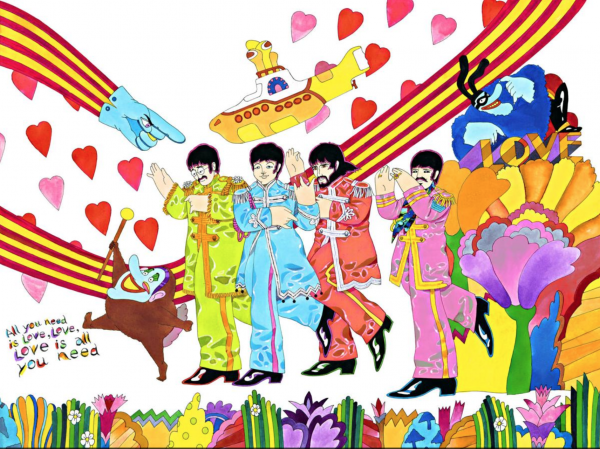 Animator Ron Campbell and his traveling art show are in New Orleans! 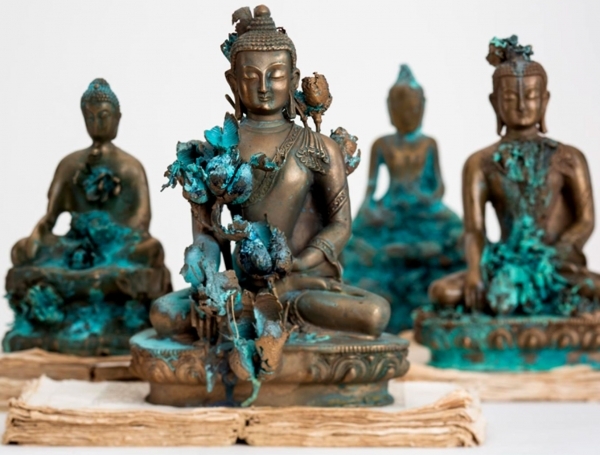 His collection is at the Boyd Satellite Gallery at 440 Julia Street, New Orleans, Louisiana 70130. 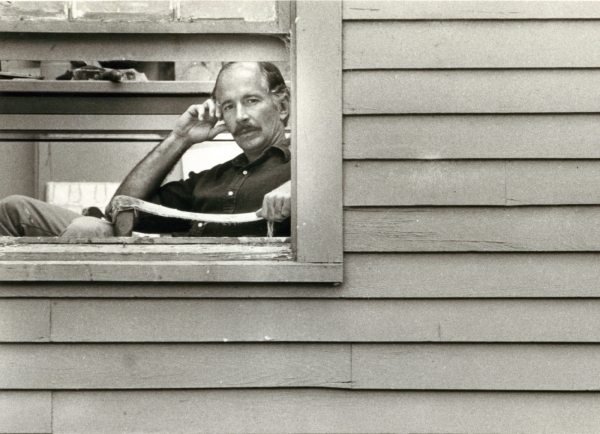 Folwell Dunbar reflects on the life and legacy of his father, New Orleans artist and gallery owner, George Dunbar. 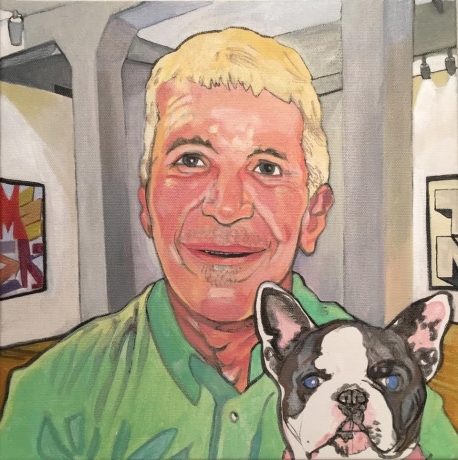 Belka’s show “Call to Post,” which ran from Jan. 6 to Feb. 24 at Lemieux Galleries in New Orleans, featured both large- and small-scale paintings of people and horses both anonymous and well-known. 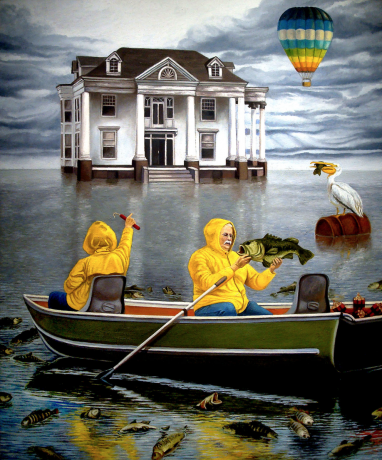 A powerful exhibition at Boyd | Satellite on Julia Street celebrates the fantastic life and career of New Orleans' artist Jeffrey Cook. 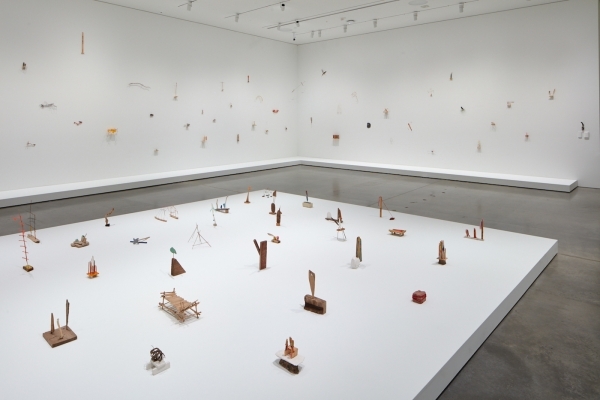 ​“A Nkisi for Jeffrey Cook” includes dozens of works from 17 mostly private collections encompassing the entirety of Cook’s career, from his early student work to pieces he created shortly before his death. Explore snapshots of Jonathan Ferrara's show, "Oscillation: An Exhibition About Painting," curated by Dan Cameron as a Prospect.4 satellite show. Too many visitors to New Orleans fall for the fabled French Quarter and forget to snap out of the spell. There's so much more territory to cover. 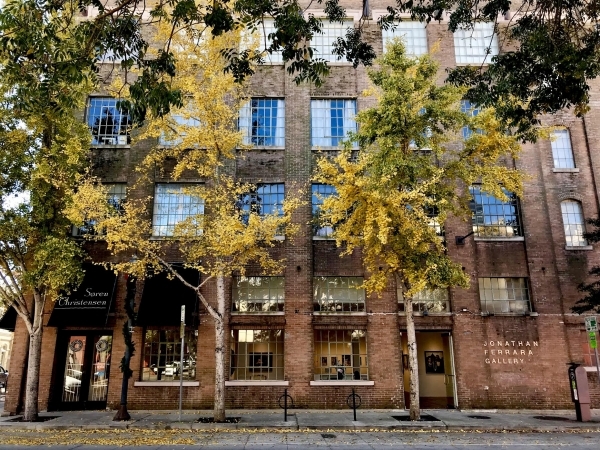 Explore the art scene: Every first Saturday of the month, the arts district around Julia Street features gallery openings complete with complimentary drinks and top local artists. 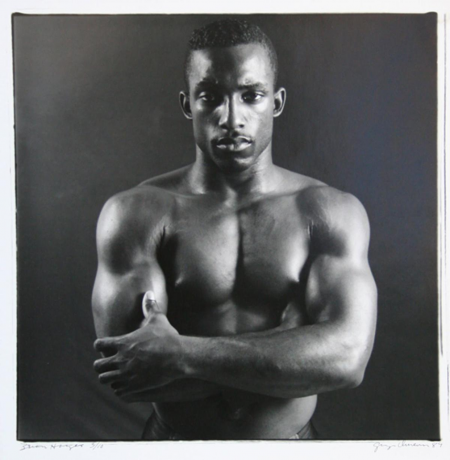 A new show at Arthur Roger Gallery provides an unprecedented opportunity to compare work by George Dureau and Robert Mapplethorpe, two of the most important figurative photographers of the 20th century. A new show at Octavia Gallery is giving Fritz Bultman more of the posthumous attention he deserves. 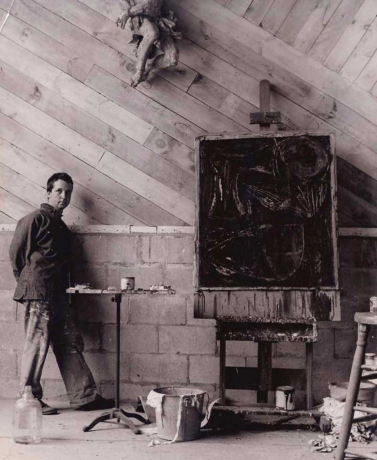 Bultman was one of the most important members of the group of postwar abstract artists known as the New York School, members of which also included Jackson Pollock, Mark Rothko and Willem de Kooning. Over the years, Bultman’s name has been eclipsed by his more famous contemporaries. The Octavia show offers a rare opportunity for audiences to acquaint (or reacquaint) themselves with the range of his work. 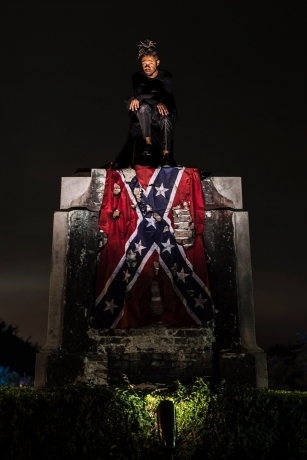 I had the honor of collaborating with fellow native New Orleanian artist Ti-Rock Moore on a piece that seeks to reclaim the land formerly known as the “General Beauregard Equestrian Statue” and use it as a work of art to reimagine our country’s future. While these spaces have been used since the conclusion of the Civil War to uphold and promote white supremacy, they now have the ability to be activated in more creative and polyphonic manners. As public land, cities now have the ability to engage their citizens in a very unique way to co-create the future. 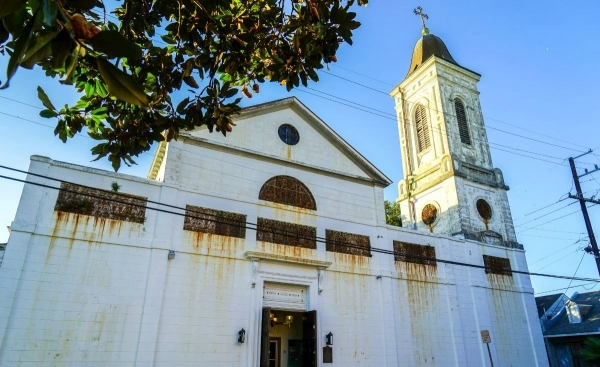 A trip to New Orleans demands a visit to the historic Arts District. The former Warehouse District has rebuilt itself into one of the sleekest parts of town, bustling with art galleries, restaurants, museums and a vibrant nightlife scene. Here are four spots that illuminate the greatness of the reborn neighborhood, whether you’re an exploratory local, or an adventurous traveler. 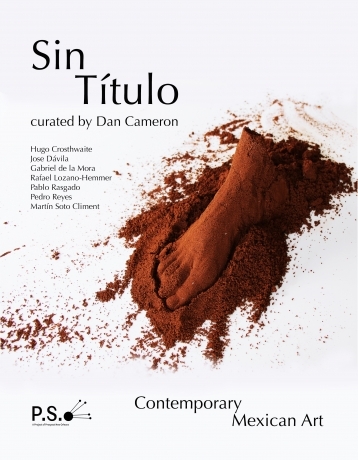 Diane Mack sits down to talk about Sin Título with Dan Cameron and Jonathan Ferrara. Visit: www.wwno.org to listen to the full interview on "Inside the Arts" with Diane Mack. New Orleans, LA – It’s hot. 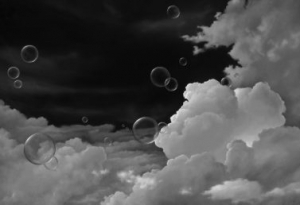 It’s humid. It’s summer; which means the time has yet again come for droves of art patrons and revelers alike to garb themselves in linens woven of white and gather in the streets to party like an artist. Julia Street to be precise. The annual art-meets-wine extravaganza known as Whitney White Linen Night is once again upon us. While some cities have only a couple famous streets or hot-spot neighborhoods, New Orleans is rich with eclectic areas that offer their own unique attractions, shops, restaurants and vibe. Julia Street is one of the many famous neighborhoods within a neighborhood that draws visitors year-round, while also experiencing a growth in residents. With Jammin’ on Julia falling on the second weekend of the New Orleans Jazz and Heritage Festival, music fans who also want to keep up with the contemporary visual arts scene may have to make some tough choices. 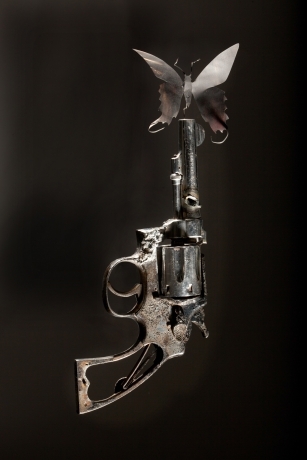 Author/gallery owner Jonathan Ferrara's darkly handsome, 215-page volume "Guns in the Hands of Artists" includes dramatic photos of artworks made from firearms, plus a series of essays by everyone from Walter Isaacson to Mayor Mitch Landrieu to Harry Shearer.